Globe/T. 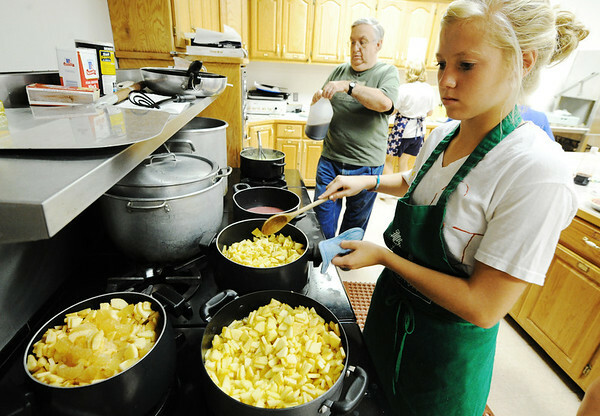 Rob Brown Taylor Beck, 16, of Carl Junction, cooks apple slices for the Fall Fiasco Pie Sale recently. Ivan Obert, of Joplin, works on coconut cream pie in the background.